When we first moved to Bangkok I was lucky to meet a few women who were willing to show me the ropes. 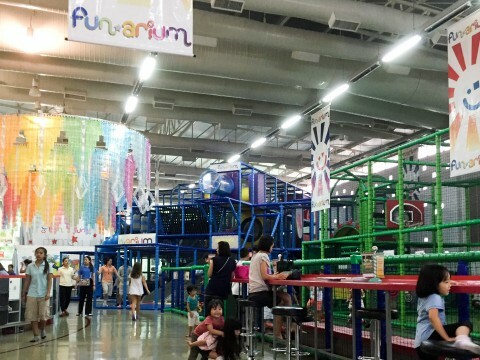 Originally I was looking for outdoor playgrounds, however the Bangkok heat quickly makes for a sweaty and overheating child. 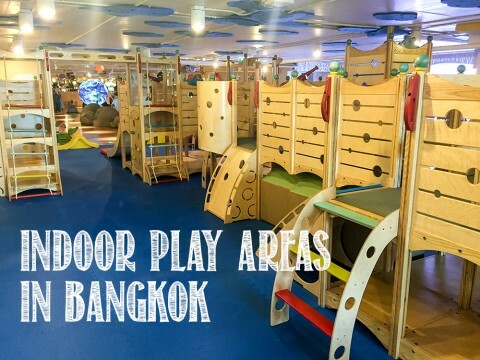 It became apparent the more popular thing to do with toddlers in Bangkok is indoor play areas. 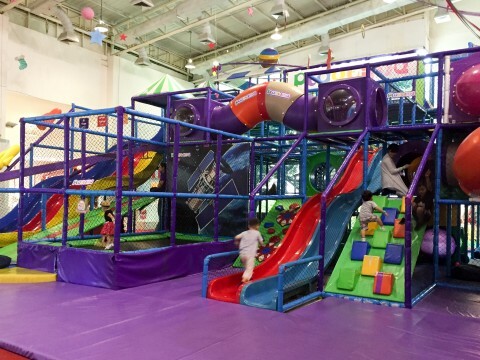 While there are other play areas in Bangkok, below are a few of our favorite places. We rarely venture to play areas that aren’t BTS accessible as I’m always trying to avoid sitting in Bangkok traffic! 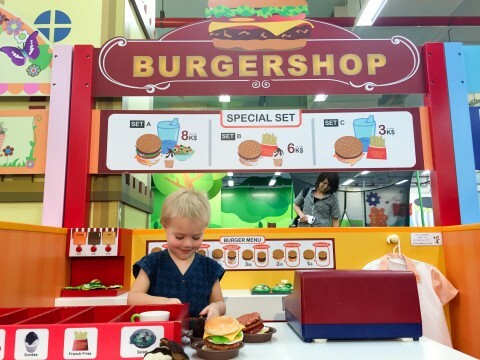 Otherwise known as Kidzoona offers a mix of play options from play pretend (sushi bar, grocery store, pizza shop, etc.) to a playground amidst a sea of balls, a bouncy track and a large inflatable slide. Not to mention, there separate area with a train table, blocks, magnetic toys, and more. The entrance of Kidzoona is an arcade with Molly Fantasy and a merry go-round in the back. The promise of riding the merry go-round is the only thing that will coax Jellybean out of the play area when it’s time to head home. Tip: Bring socks for everyone. Socks are required for both children and adults. If you forget socks don’t fret, you can buy them there. Imaginia subscribes to the learn through play concept. It is home to a gigantic slide (that takes your picture on the way down! 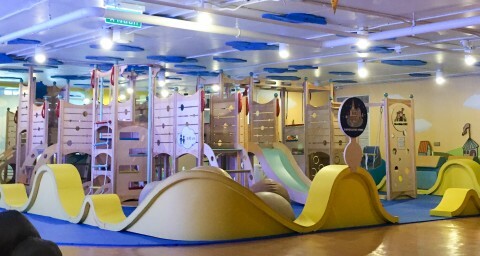 ), a coloring/arts and crafts area, a wooden playground, a small library, and much much more. Central World is so large one can easily get lost just trying to navigate through all the restaurants and shops. 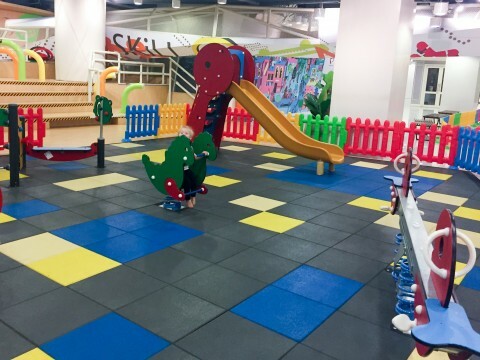 The free indoor play ground has a variety of slides, a small rock climbing area, a seesaw and more. 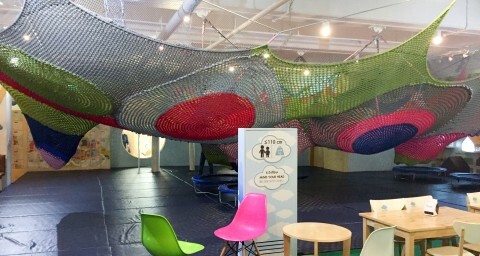 Tip: This indoor play area is FREE! 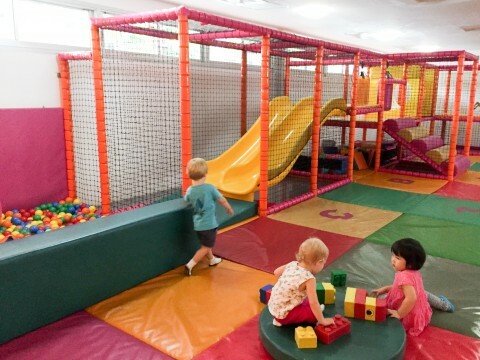 Funarium offers two play-gym areas, one for those under 3 and a bigger area for the older children. This place isn’t lacking in things to do with ball pits, basketball court, a bicycle/scooter track, and daily sing-a-long shows. Despite being under three, my daughter prefers the big kid area, which means I get to climb around with her. I try to wear legging (instead of shorts) in an effort to protect my knees a bit. 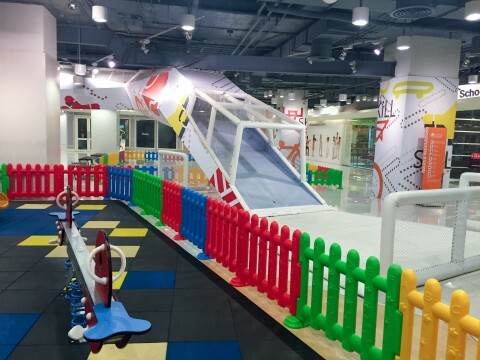 The primary area of this indoor play area is a large play-gym, similar to Funarium. There’s also a separate space with a sandpit, an area for those under 3 and more. The space also include a cafeteria where a drink, snack or lunch can be purchased. 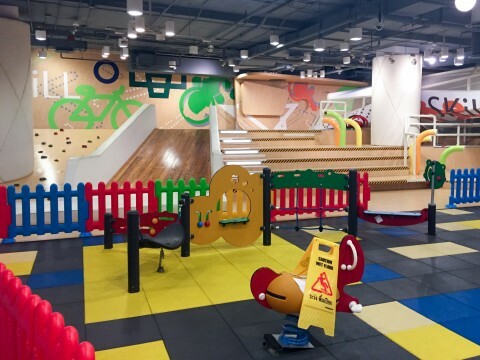 Which of these play areas look most appealing to you? If you live in Bangkok any you might add to the list?